It is essential that your foundation piling and drilling equipment operates efficiently and downtime is kept to a minimum. To ensure your equipments performance, regular maintenance is essential to pick up any issues before they become problems and resolve them early. Our dedicated team of factory trained service engineers can help support you from the day you take delivery of your machinery and through it’s entire working life. From commissioning and inspections, to servicing and general maintenance, repairs, configuration changes and refurbishment, our team of engineers can deliver the proactive support you need, either onsite or at our workshop near Aylesbury. We keep a wide range of stock parts immediately available for fitting in the UK. 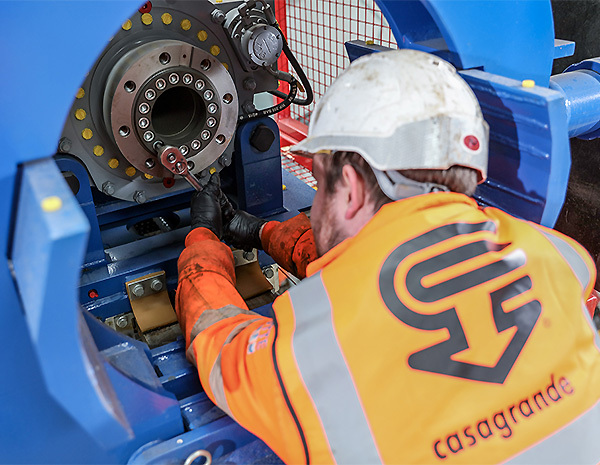 To ensure your machinery is kept in excellent working condition we can provide support through maintenance contracts along with annual and bi-annual inspections. Call us to find out more about how our on-site service team support your equipment.